A lost child or one with a medical emergency is a highly stressful event for both parent and child – people will go out of their way to help a child – the challenge is often finding the guardian/parent or getting contact details while keeping the child calm. 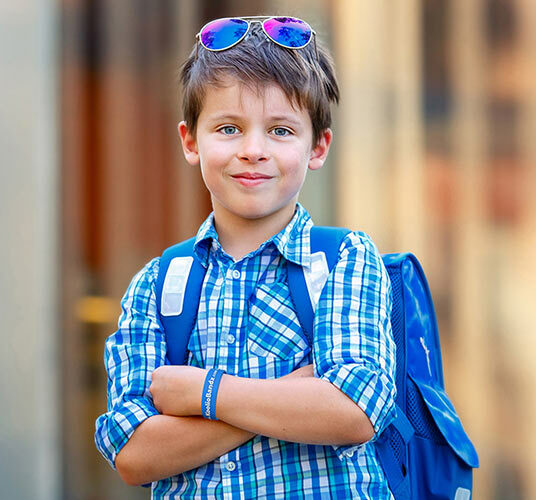 Koolio have created a simple, safe and cost effective way for you to put secure ID on your child with complete anonymity and yet provide a simple method for the first responder or good samaritan to get a message to you. This is not a tracking device – no information about you or your child or their whereabouts is stored in the cloud or anywhere – at any time. Childcare professionals see KoolioBandz as a real step forward in child safety. They welcome the simplicity and the speed of the communication process that is easily accessible by the public. The emergency services welcome KoolioBandz as a potential lifesaver. They just enter the code and via SMS you find out where they are! KoolioBandz work equally well form a Smartphone, Tablet or PC – in fact in case of emergency – you can simply dial 112 (999 etc) from any phone and let the emergency personnel know the ID code from the KoolioBandz wristband. You simply purchase a wristband and register it – HERE on the website – (mobile or desktop) you will be asked for one or two mobile numbers and the wristband code this is then linked to those numbers and your language – It’s that simple – your child’s wristband is now registered and ready for use! 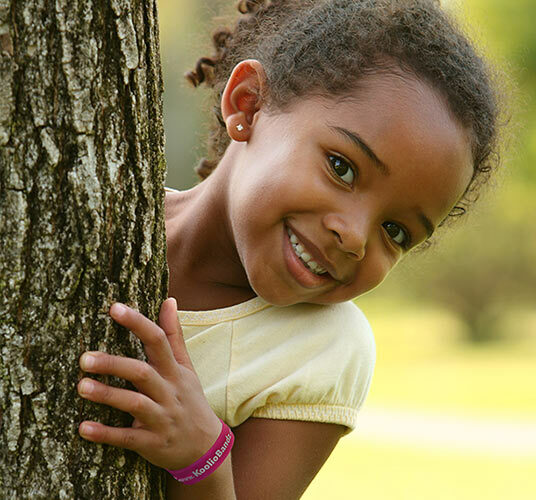 When a lost or injured child is found, using their smartphone or PC, the finder goes to the website www.KoolioBandz.com chooses their native language from the list and enters the code from your child’s wristband. They then type a message letting you know where you can collect your child and sends the message – our system then sends a text message (SMS) to you in your chosen language. (The sender never sees your mobile number). KoolioBandz offer a direct link to the child's parents or guardians. It is a fully automated service that allows for messages to be sent instantly to the child's parents or guardians - in case of an emergency. KoolioBandz work worldwide. They allow people who speak different languages to communicate. A Spanish person finding a lost child can send a message in Spanish to parents who speak English and the KoolioBandz system will translate and deliver the message in English. KoolioBandz never aks for your Name or Address. 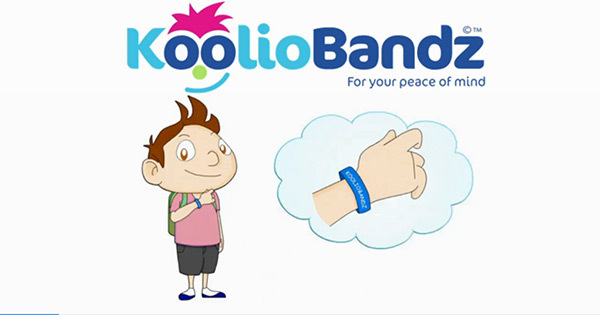 We only ask you to provide two mobile phone numbers (to receive SMS texts on), your preferred language (to translate) and the code from your Child's KoolioBandz Wristband. KoolioBandz are not a tracking device. KoolioBandz are passive devices and contain no batteries. There are two in a pack - one to wear and a spare. They are hard wearing, resilient and attractive. They do not contain any GPS and are child friendly. KoolioBandz are completely waterproof. They can be worn at the beach, while swimming - in fact all day. They are kind to skin and hypoallergenic. KoolioBandz are inexpensive - attract a small annual charge. There are no costs to the person finding a lost item or the first responder and no cost to you to receive a notification - anywhere in the world. *Each band comes with 18 months service included, renewals available on a 12 month basis. Buy a set of Kooliobandz today!